SITE123 is a website building solution that allows the creation of websites as easy as 1, 2, 3. Designed for private as well as corporate users, the platform allows the building of an online presence even without coding knowledge and experience. Sites created through the system are attractive, responsive, and SEO-friendly. SITE123 is especially suited for users who do not want to hire professional web developers to create their website or for those who do not have much time to spend on said task. There are pre-made templates that users can choose from when setting up their sites. The system does not utilize the popular drag-and-drop functionality and instead allows its users to upload their content immediately and select various mock-ups available for each tool. The website developed is SEO-optimized and fully responsive. It means that no additional codes are required from the users to create an online site that can be indexed by search engines. It is accessible from any device. SITE123 creates responsive websites, which means that it ensures an optimal viewing experience for its users no matter the device it is viewed from. Users can also have a preview of how their site would look on different devices and screen sizes before going live. Users are provided with everything they’ll require to set up and run a website including website domain and hosting, both of which are free. The hosting service is on a CDN (Content Distribution Network), which ensures security, speed, and functionality of the site. It also has an added layer of protection in the form of SSL/HTTPS encryption, which helps prevent online attacks. Aside from hosting, other tools are also available that provides leverage for the users’ website. One of them is the set of SEO tools that allow the use of website connections, viewing of the sitemap, and setting 301 redirects and meta tags. SITE123 has multilingual support which allows it to be fully utilized in the user’s local language. Other features that the system offers are custom form builder, built-in logo resizer, a library of free images and icons, and image galleries among others. SITE123 is capable of building an e-commerce website that can serve as a storefront. The site offers product and order management, customization of the store’s design, proper inventory management, and other relevant online store functionalities. Several payment methods such as PayPal and wire transfer are supported by the site as well. It is also optimized for handling global sales since it can accept both local and international currencies. There is no limit to the number of web pages that users can add to their websites. The system also offers an option for creating a landing page or one-page websites which can be effective in some specific content types. 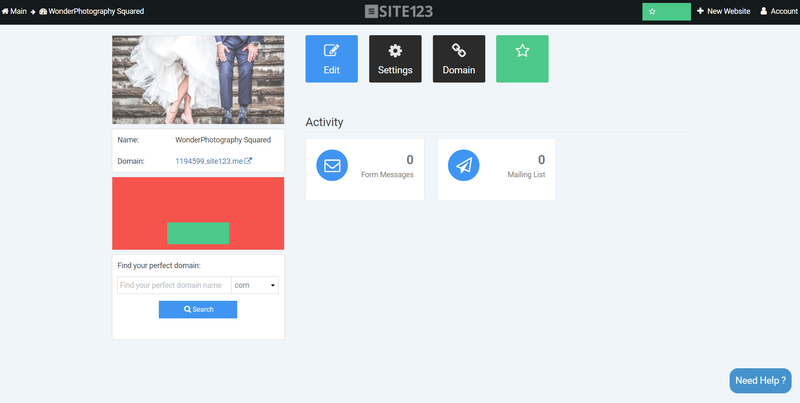 SITE123 support a vast number of applications and plug-ins integration such as live chat, analytics, marketing, webmasters tools, and social media integrations.